Female hair loss can have a huge impact on women making them feel less attractive, ashamed and very self-conscious and here at our Glasgow Practice we can provide professional advice and long term solutions to overcome hair loss. Female hair loss can be caused by a number of different reasons including bald patches, hereditary hair loss, thinning hair and even due to the effects of chemotherapy. Hair loss in any form can cause women mental distress and affect an individuals’ emotional and physical wellbeing and therefore it is important to treat these sensitive issues in the appropriate manner. At our Glasgow practice you can speak to us in complete confidence to ensure your hair needs are dealt with in the most respectable and comfortable way for yourself. Female hair loss can have a huge impact on individuals both mentally and physically and here at our Glasgow Practice we want to change the lives of woman for the better with our hair loss treatments. We want to restore full confidence to our clients by providing long term hair loss solutions to transform their lives as well as their look. Hair is a big thing for females as it can help to create and define a look, enhance a personality or even act as a mask so if you are suffering from female hair loss do not hesitate to contact us and take the first step to overcoming your hair problems today. Female Hair Loss – What Next? If you or someone you know is suffering from female hair loss then contact our Glasgow Practice today on 0141 280 2656 and speak to one of our dedicated advisors. 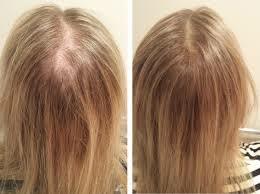 Don’t let hair loss get you down any longer as we are here to help you to find the perfect solution for your needs. You will not be disappointed.